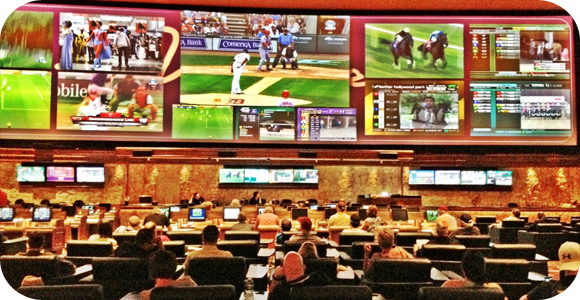 There has been an evolution in Las Vegas regarding their sportsbooks, as more and more casinos have been changing their seating arrangements in hopes to fit in more VIP seats and customers. The majority of casinos that are most frequently visited are the ones on the Vegas Strip, and these casinos are in the process of eliminating regular and free seating for the alternative VIP seats. The deal with VIP seats is that they are reserved and used by customers that are actually placing bets and spending money. Most often, these seats also come with a minimum amount that needs to be wagered if a person wants to sit and watch that games. Even though this may make more sense for casino to do, as they will get more money per seat, has not gone over so well with regular patrons. This can typically be seen when there is a busy week or weekend, like during March Madness or huge boxing matches like the previous Mayweather vs. Pacquiao fight. You will see that the free seats get limited, as the amount of VIP seats rises. However, there is an easy solution for this if you simply want to go watch a few sports matches, and maybe place a few bets without the need of having to meet a minimum. Off of the strip, there are plenty of casinos and sportsbooks that are making the extra effort to make their entire environment the best for all gamblers. For instance, Red Rock has some of the best Big Screens of the casinos, with their entire seating area being free; they do have a small section reserved for VIP members, but it does not take away from the general seating. So, if you are looking for free seating in Las Vegas and think that most of the main casinos will have VIP seating, you can always go off the strip and find an amazing casino and experience waiting for you. Most of these sportsbooks are cozy, have great accomodations, and even better, plenty of free seating that you can use to enjoy any sporting event.